REDKEN CERAFILL-94 RETALIATE SHAMPOO 290ML – HAIRDEPOT - Hair & Scalp Care Products, Prevent Hair Loss, Shampoo, Conditioner, Treatment, Styling, Appliances and more! - Strengthens, stimulates, and nourishes so hair looks and feels fuller. - Improves the appearance of advanced thinning hair. - Stimulating menthol formula gently cleanses to remove impurities and follicle-clogging sebum. - Strengthens hair fiber to prevent breakage. - Nourishes to promote healthy scalp environment. - Invigorating ginger mint fragrance. - Safe for colour & chemically treated hair. - Stimulating menthol formula gently cleanses and provides cooling and tingling sensation on scalp. - Ceramide strengthens the hair fiber to help prevent breakage. 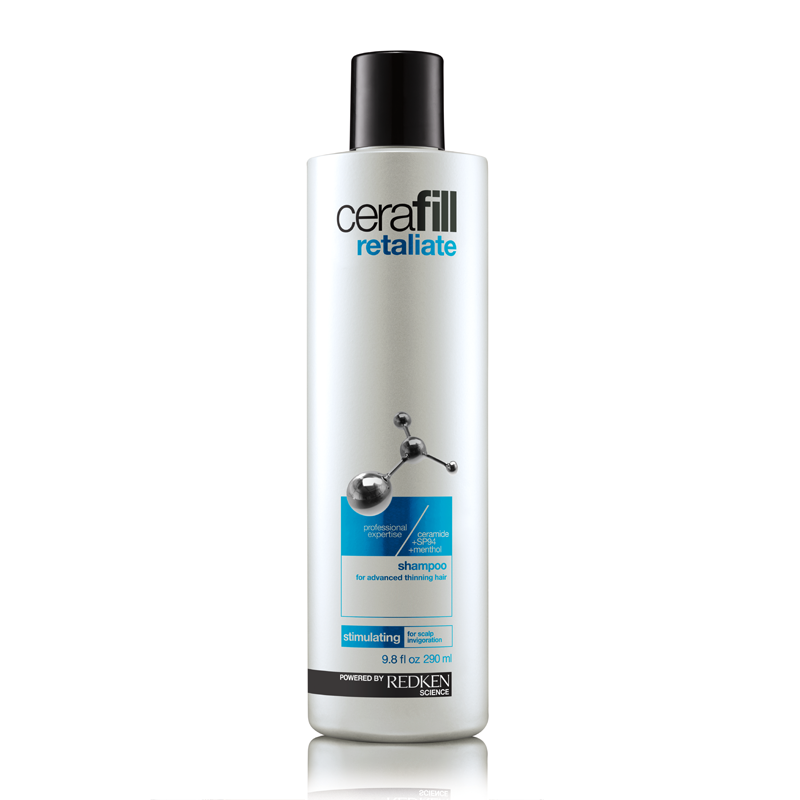 Use Redken Cerafill Retaliate Shampoo daily on wet hair, massage into a lather. Rinse.